A team of assessors from the International Association of Campus Law Enforcement Administrators (IACLEA) will visit California State University, Northridge next month to examine all aspects of CSUN Department of Police Services’ policies, procedures, management, operations and support services. Verification by the team that the Department of Police Services meets IACLEA’s state-of-the-art standards is part of a voluntary process to gain reaccreditation — a highly prized recognition of campus public safety professional excellence. 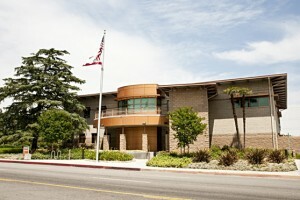 Members of the campus community, police services employees and members of the public are invited to offer comments about the department by calling (818) 677-7788 between the hours of 10 a.m. and 12 p.m. on Monday, April 16. Comments will be collected by the assessment team. Telephone comments must address the department’s ability to comply with IACLEA’s standards. The IACLEA Accreditation Standards Manual is available on the association’s website, www.iaclea.org. Anyone wishing to submit written comments may send them to IACLEA Accreditation, 1110 Bonifant St., Suite 220, Silver Spring, MD 20910. The CSUN Department of Police Services has to comply with 215 standards in order to achieve accredited status, according to Capt. Scott Vanscoy, who is the accreditation manager for CSUN police. The assessment team is composed of experienced law enforcement professionals from outside the state of California who will review written materials, conduct interviews and inspect operation procedures and facilities where compliance can be witnessed. The assessors are the retired Assistant Chief Robert Fey from Ball State University, the team leader, and Lt. Tamara McCollough of the Indiana State University Police Department. Accreditation is for four years, during which time the department must submit annual reports attesting to continued compliance with the standards under which it was initially accredited.